As a writer, you will have to contend with one form or another of distraction. If you are writing at home, the ever-present social media feed updates intrigue you to waste 5 minutes looking up gossip. You will feel like a coffee and go for it, or an unexpected guest will show up. If you are doing it at the Starbucks, there is the constant hubbub. Even the solace of the library comes with the distraction of curiosity; alluring magazines that take away 45 minutes of your time. Writer’s block can also distract. 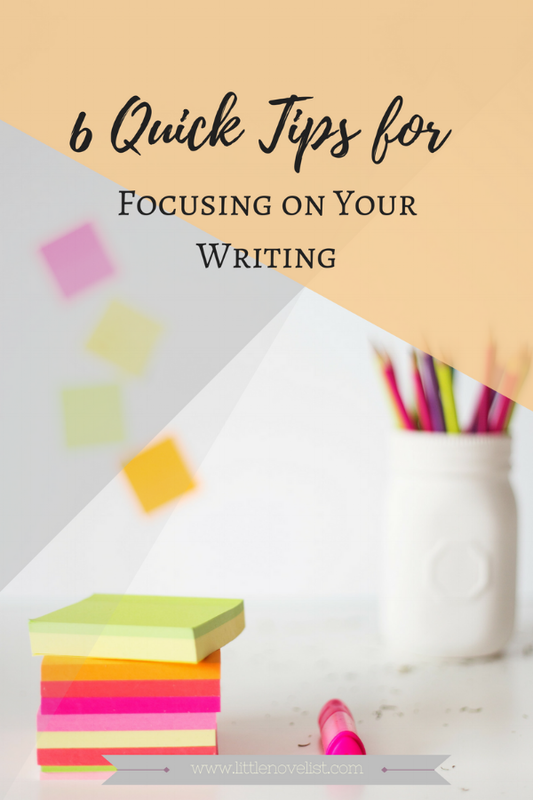 How can you focus on your writing? Writer’s block will happen if you are unprepared for a smooth flow of ideas. You will be stopping your work to look up stuff now and then, which becomes a big distraction and slows you down. Prepare for each writing session by outlining the main writing points and researching well on them. Once you sit to write, your flow will be uninterrupted. What are your major distractions? The only way of finding out is by listing them down. Do not try to deny them or justify. Look for ways to go around them. If curiosity always gets the better of you and you find yourself scrolling Facebook updates now and then, switch off your internet connection. If you stop to go make coffee, brew the cup before sitting down. Audio noise is a major distraction. If you are working in a crowded place, wear a pair of noise cancelling headphones. When at home, switch off the radio and TV. Writing from a library is always best as these spaces are quiet. Changing your writing environment has two effects. You focus better, get inspired and motivated to write in the new surroundings. This is one way to beat writer’s block. If you are working from a Starbucks, take your laptop to the park outside the museum and you will be surprised at how productive the day will turn out. This is the concept of writing whatever comes to your mind first thing in the morning. It is a good way to put on paper any ideas that may have crossed the mind during the night. It also provides points to build on in your day’s writings. Writing with a friend will provide the competition you need to stay motivated. The brainstorming will also help beat the writer’s block when it happens.